In Dime Store Magic, Paige Winterbourne was introduced to her new love interest, Lucas Cortez. As the youngest song of a Cabal CEO (think Bill Gates with no morals/ethics/charities), Lucas wants to get away from the family business. 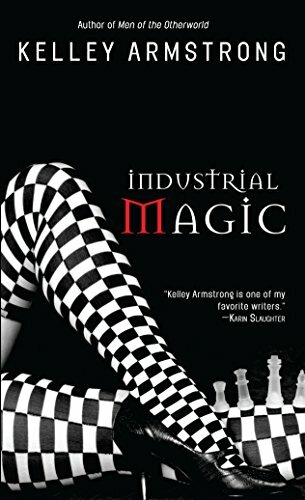 In book four of Kelley Armstrong’s “Women of the Otherworld” series, Industrial Magic, we are given a glimpse into the world Lucas is trying to escape from when his presence is “requested” by his father. It seems somebody is targeting children of Cabal employees and Cortez Sr. wants his son to find out who. Lucas wants nothing to do with the Cabal, but when Paige becomes interested, he goes along. While his personal feelings regarding the Cabals hasn’t changed, Lucas begins to realize that his feelings for his father are not exactly what he thought they were. 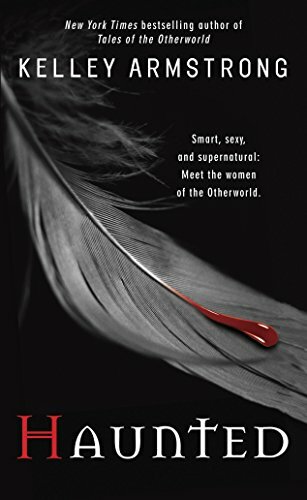 While Paige and Lucas were trying to stop a killer in Industrial Magic, they accidentally stumble into the afterlife where they encounter Eve Levine, Savannah’s mother. In order to return Paige and Lucas to the real world, Eve gives the three fates a favor to be collected at their choosing. In book five, Haunted, the fates call in their marker. A renegade ghost, the Nix, has been eluding capture for over a hundred years and the fates want Eve to bring her back. The catch – the ghost is actually a demi-demon who was initially captured when the witch’s body she was possessing was killed. Now part of the spirit world, the Nix can no longer possess humans, but she can inhabit them, filling their heads with encouragement to do murder. The chase is on and through it all, Eve begins to accept some realities that she has been avoiding. Here are the excerpts for Industrial Magic and Haunted.